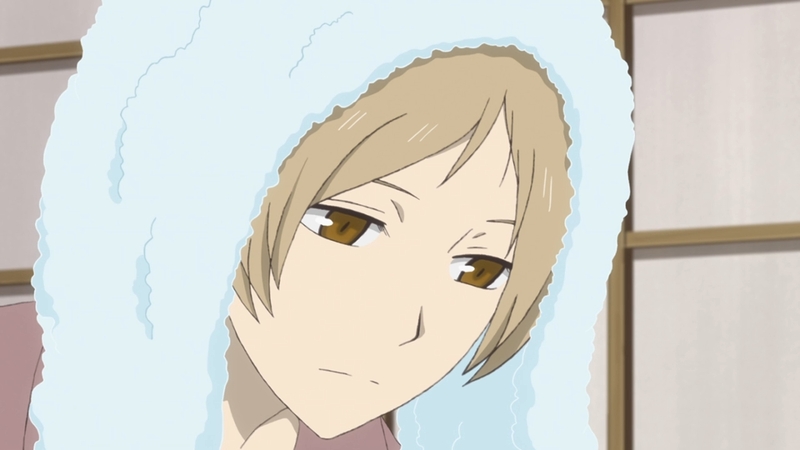 This was just another touching episode for Natsume. 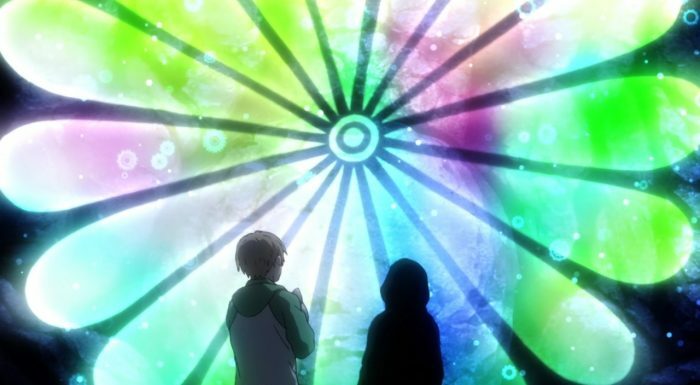 I liked the story of Nanamaki searching for his student Azuma and how Natsume could relate to Azuma’s situation. It really isn’t an exaggeration for Natsume to consider the Fujiwara house a paradise. Going to that house really has changed his whole life and given him so much. I’m sure he could relate to Azuma finding a place he wanted to be and a person he wanted to stay with forever. It had to be a bit of a touch thought to imagine that someday he might have to leave this paradise. Although someday moving forward is just part of life, though it doesn’t mean you can’t ever go back. Unfortunately for Azuma he can’t go back, though he can stay with Nanamaki. The start of the episode was really nice. Natsume even surprised himself with how he has changed. The old him might not have even said anything to Taki and Tanuma about something they couldn’t see even if it wasn’t something harmful. He’s just gotten used to living a life where you don’t tell people the truth because rejection is too painful. But now he’s grown slowly to the point where he can tell those two about his experiences and he can feel regretful that they can’t see what he can. 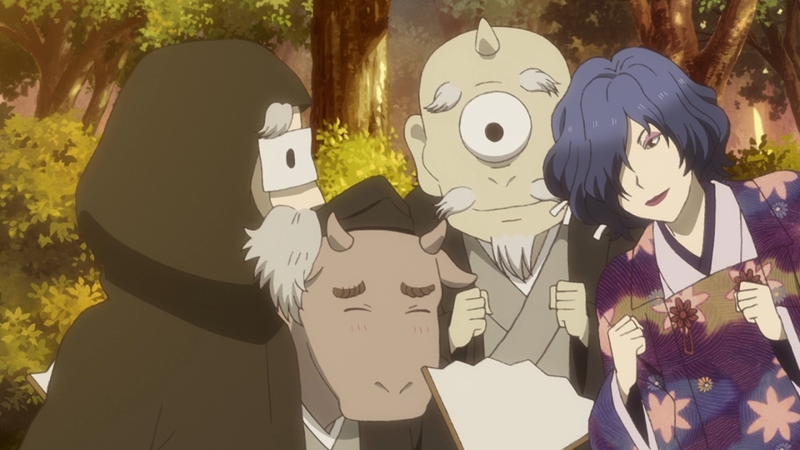 For the Natsume of the past I’m sure the youkai are things he wished he couldn’t see any longer and not things that he wished others could see and share with him. It’s just a small bit of growth for Natsume, but it means a lot. 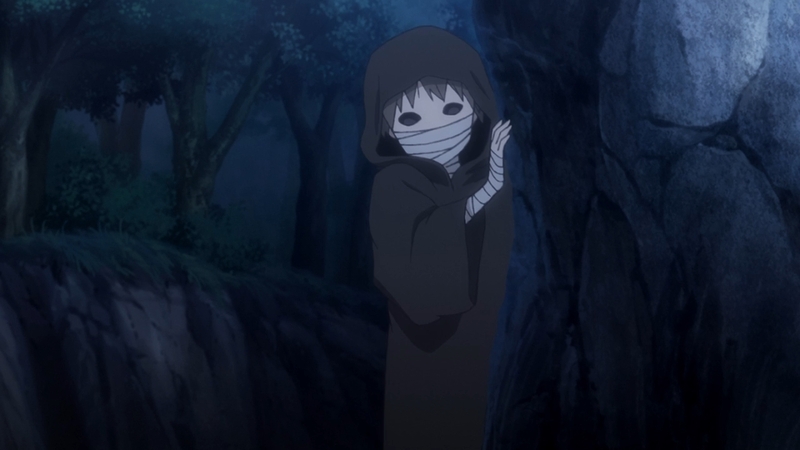 Natsume often does try to just stay out of things. But the moment that he decides to get involved he’ll really go fully into it. 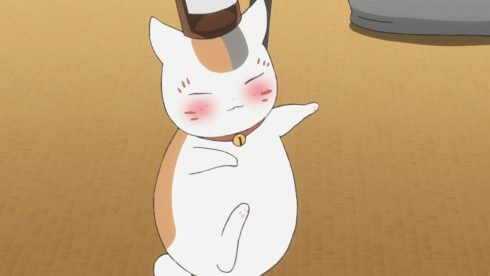 I did get a good laugh from the classic Natsume punch. In his experience it is better to just wildly throw a punch and ask questions later XD. I can understand him wanting to stay out of trouble though. He ended up a kid for doing a good deed just last episode. When it comes to youkai things can get troublesome whether or not either side has bad intentions. But I’m not surprised that after hearing the story he couldn’t help but get involved. For Natsume having a place to belong and people to belong with is a precious thing. He was willing to use his contacts because in that position he’d want to be with his precious people as well. I have a lot of sympathy for Azuma. He ended up in that village because he simply wanted to get away from some terrible experience. While there he met someone that would become a precious person to him, but because he became a stonewasher he had to leave on a journey. And after all of that…he ended up in a bad situation and unable to go home. I can’t imagine the depression that must have taken him. There had to be so many difficult feelings such as; the feeling of letting down his master, never being able to go back to that village, and being unable to finish what he started. It’s just another example of how things can go so poorly when humans and youkai interact. The exorcist may have truly believed he was doing some good, but all he did was hurt someone. I’m glad things didn’t end on a negative note. 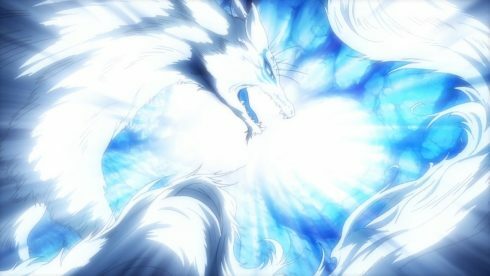 Natsume as a series can sometimes be pretty bittersweet in terms of how stories play out. 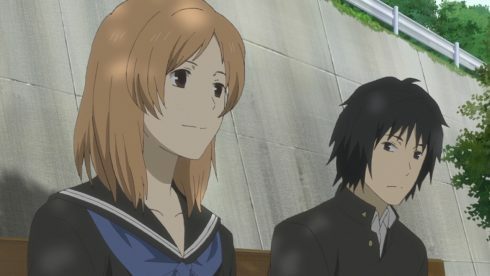 While certainly it is a bit sad that Nanamaki and Azuma won’t be able to go back to that village together…it’s not all that bad. At least they are together and they can travel together. It may take a long time to find another paradise for them to live in. But, it is hardly a bad thing to be able to go around with someone you care for. There isn’t anything they can do about Azuma being slightly tainted and unable to go back. But, there are worst fates out there. And while he can’t purify rocks any longer, he can still draw some very lovely flowers. Natsume did a lot of good this time around. I certainly wish Nanamaki and Azuma the best. This was definitely another good episode for Natusme. It ended on overall a pretty feel good note. Sometimes it is just more important to be with the people you care for, no matter where that place ends up being.